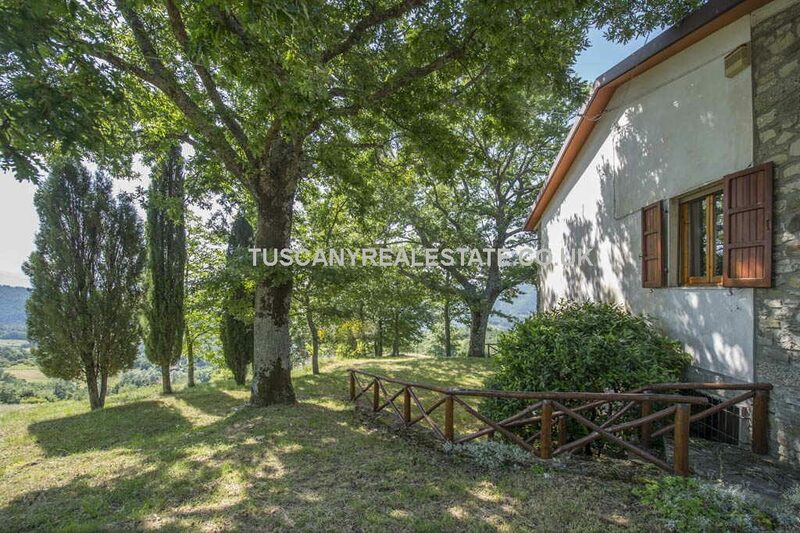 A pair of farmhouses near to Chiusi della Verna and Caprese Michelangelo. 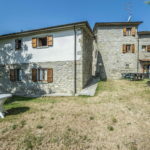 Ideal for tourist accommodation/B&B as alongside the Via Francigena path, used by walkers and cyclists. 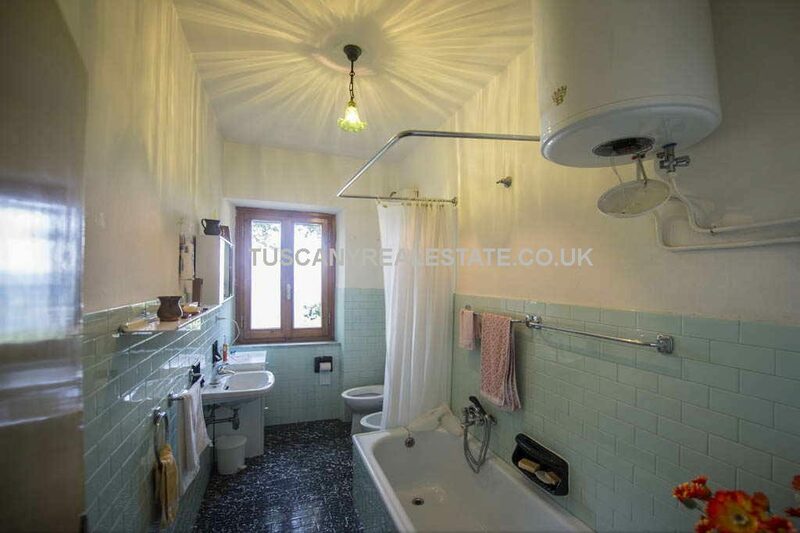 Very well priced. 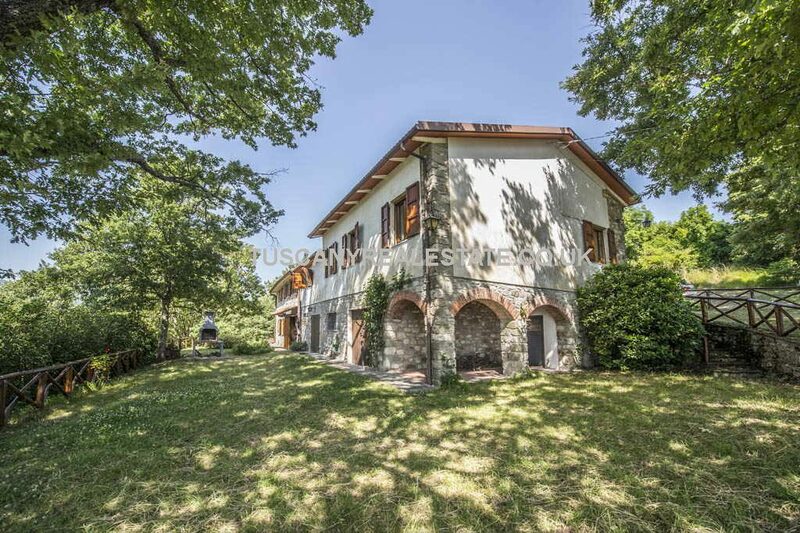 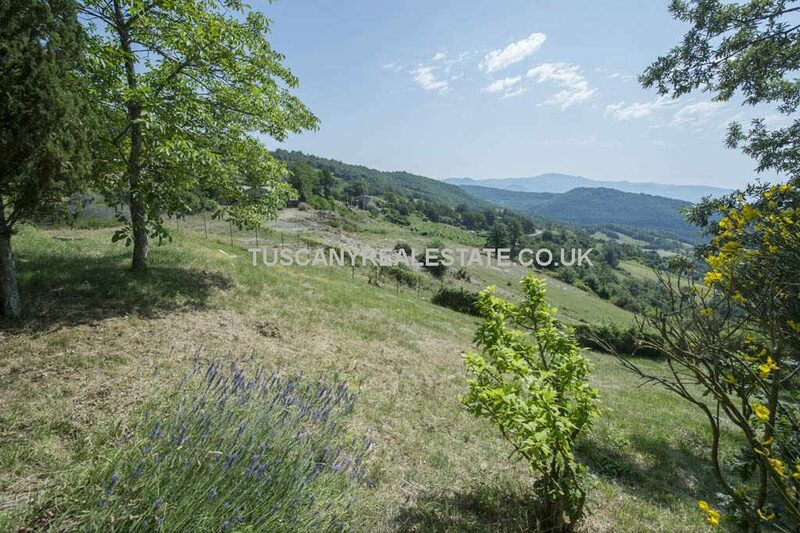 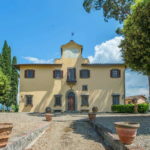 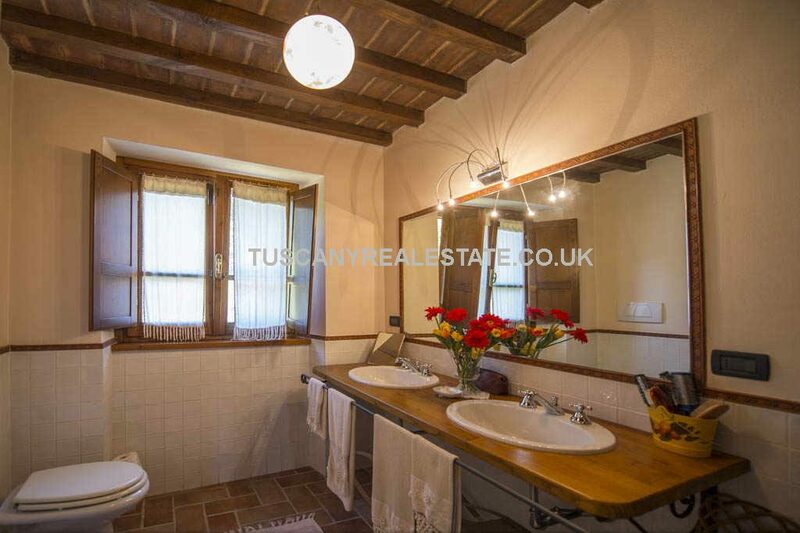 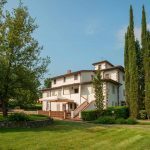 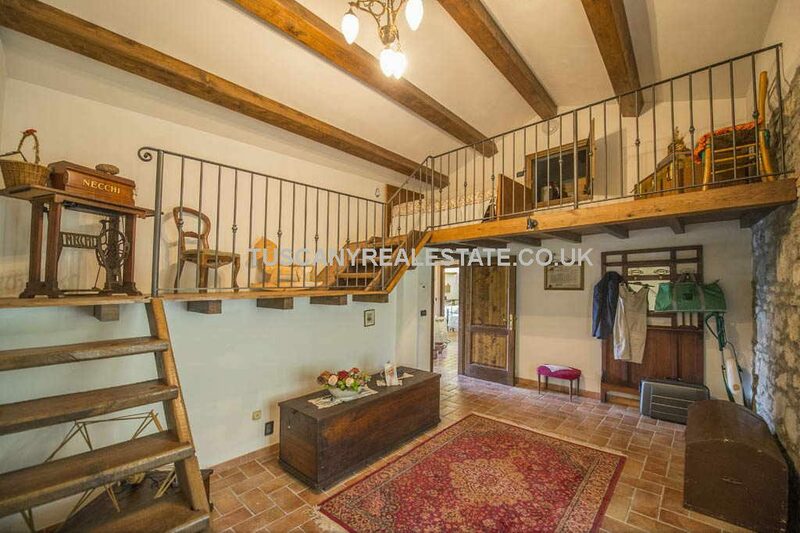 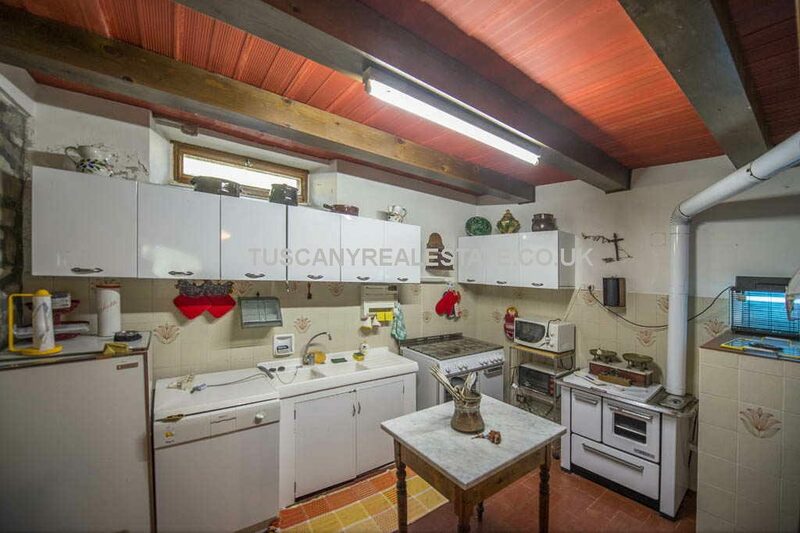 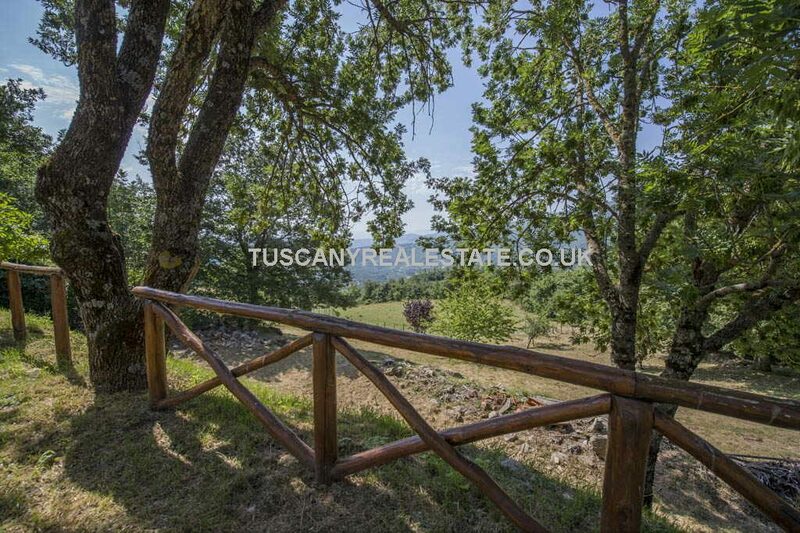 Two stone farmhouses with a total living area of 360 sq mts and 6 bedrooms in total standing in 4000sqmts of land and garden with far reaching panoramic Tuscan countryside views. 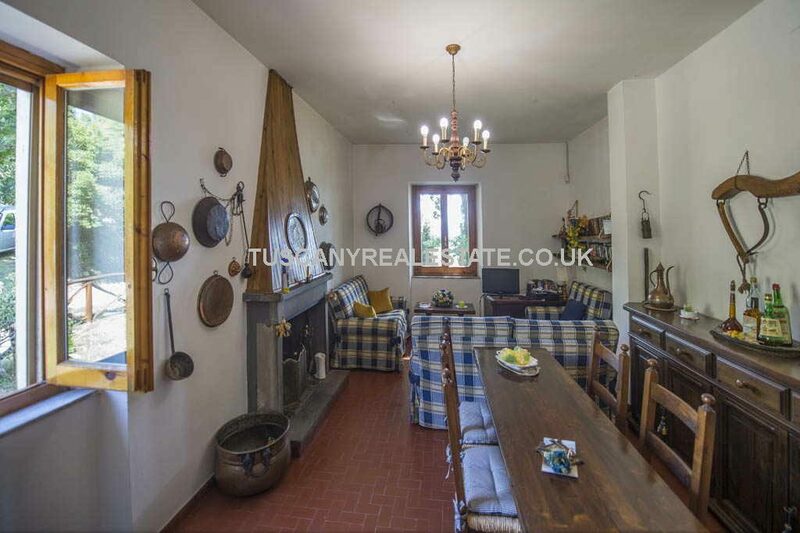 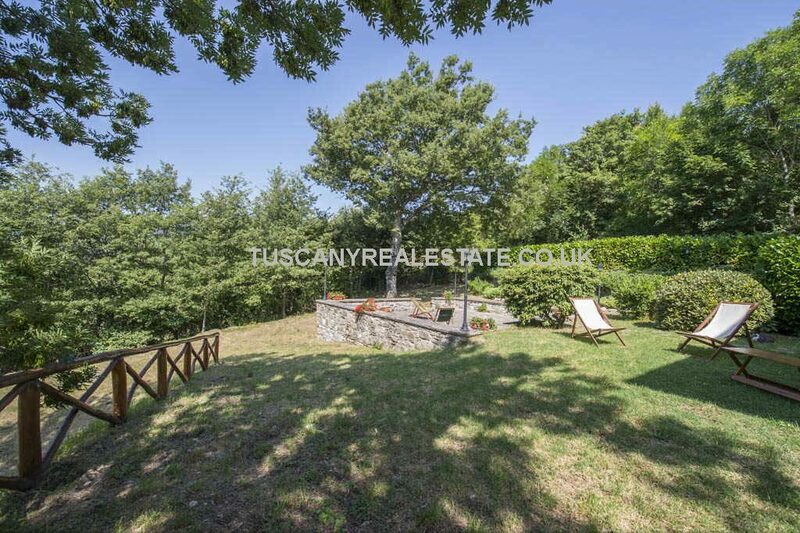 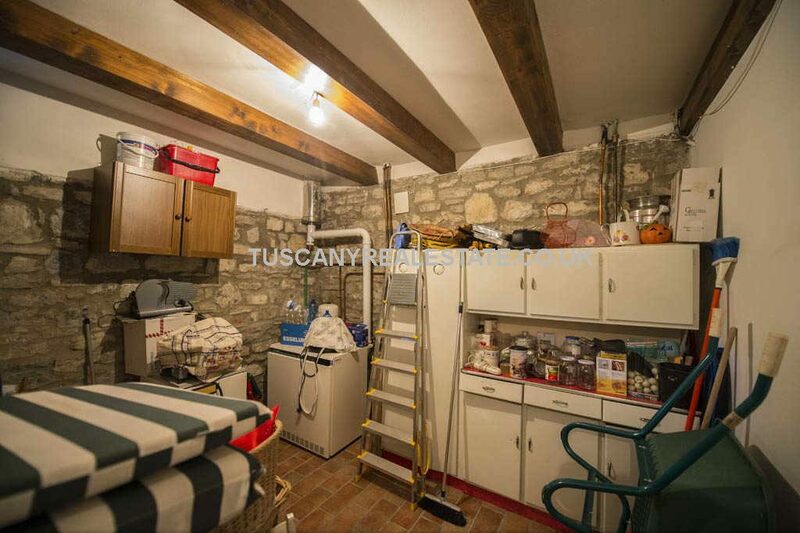 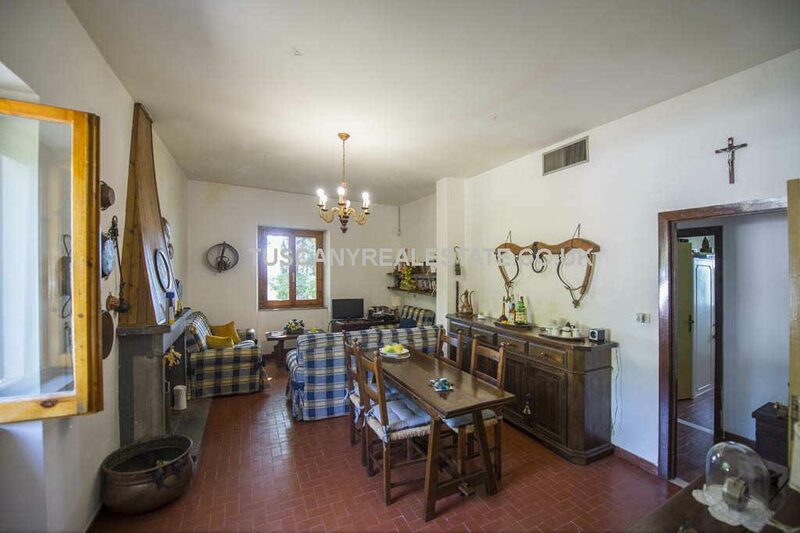 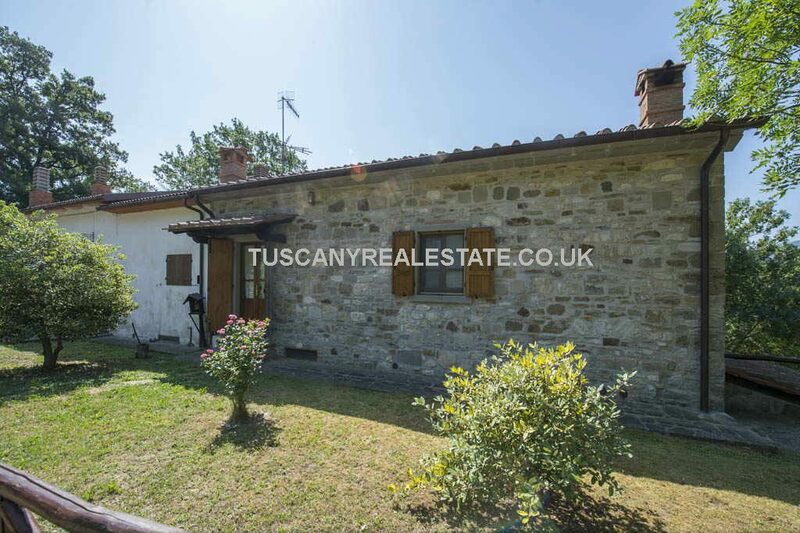 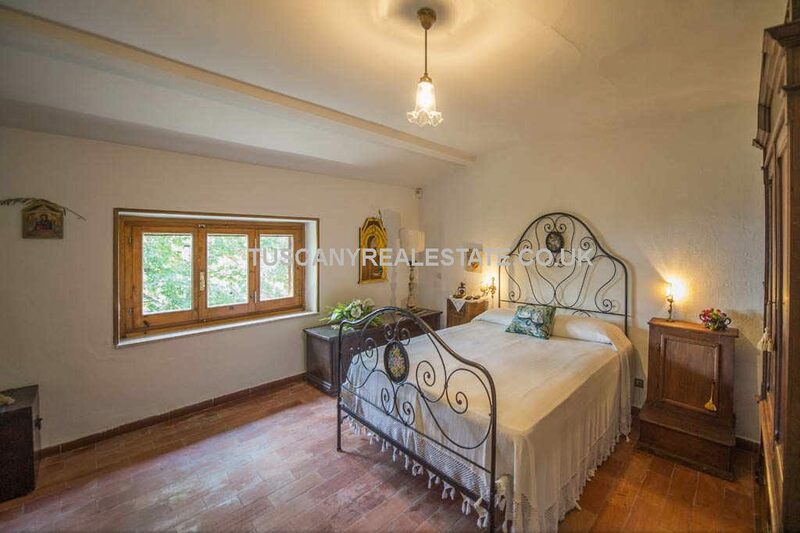 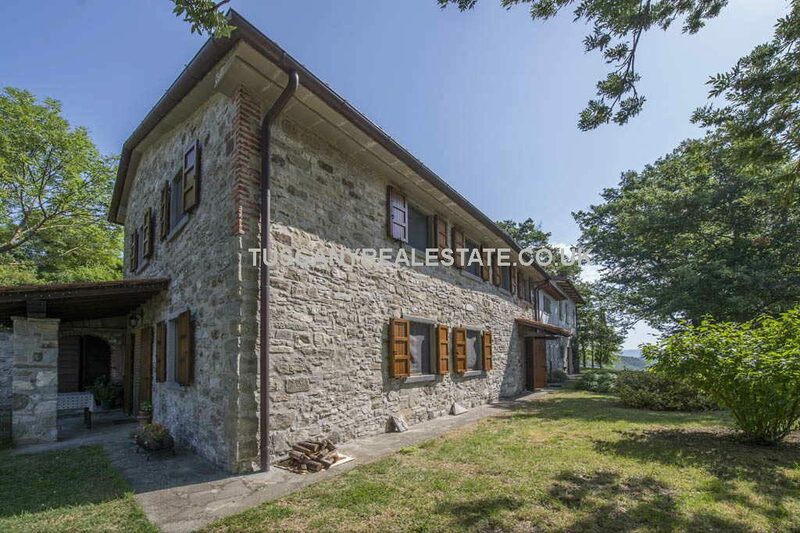 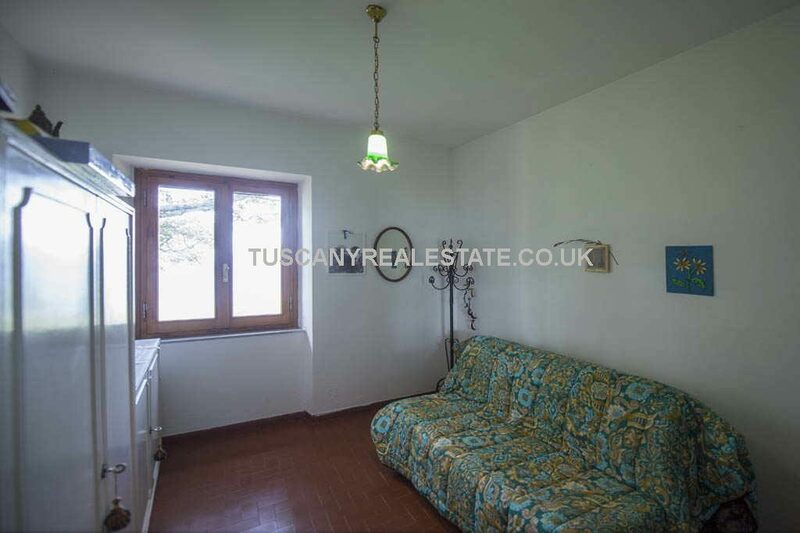 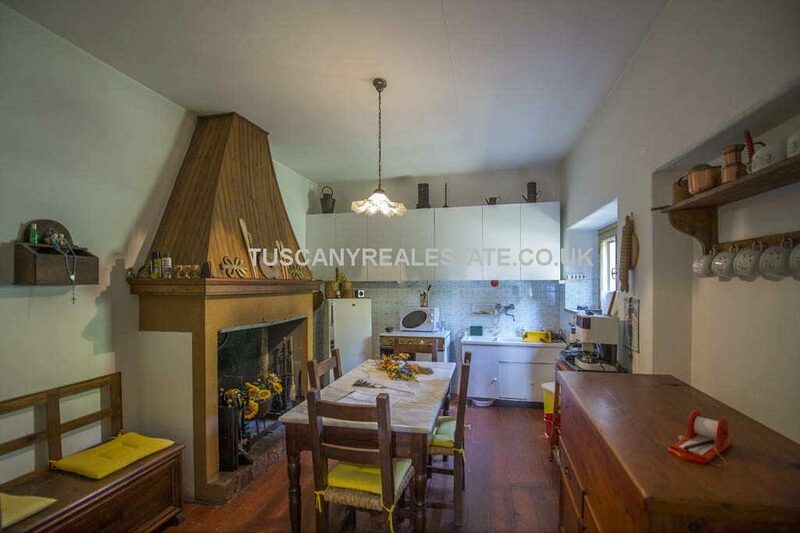 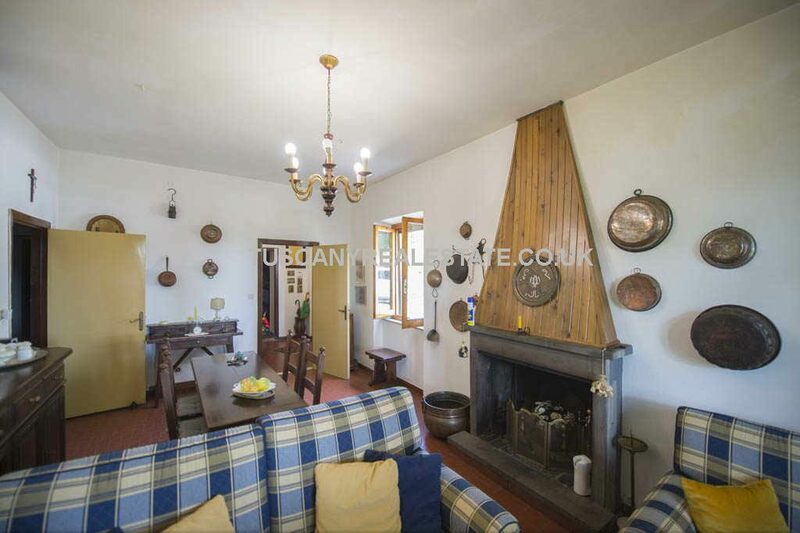 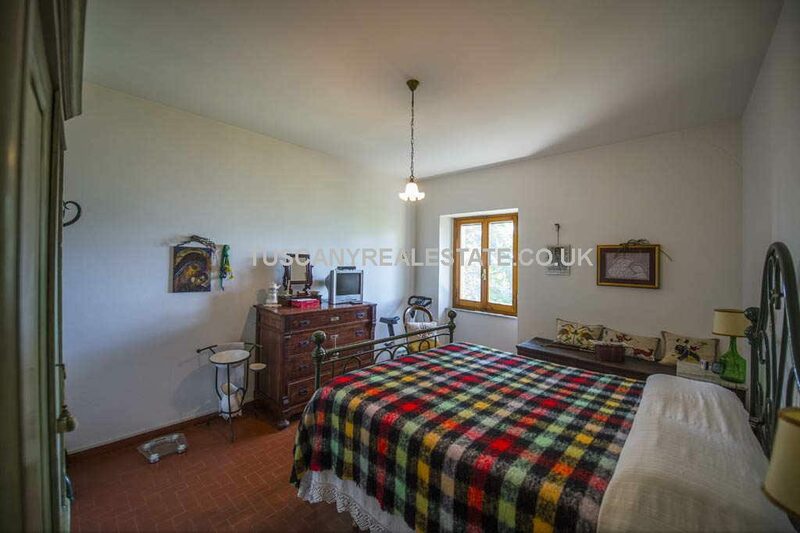 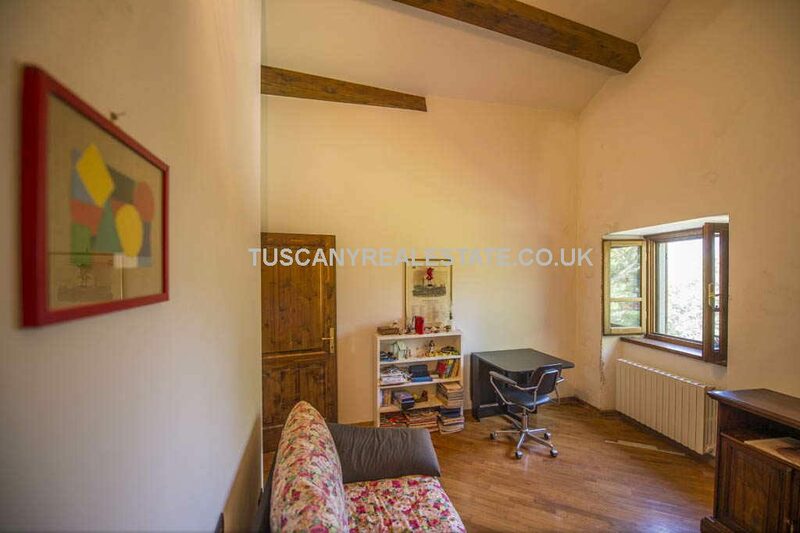 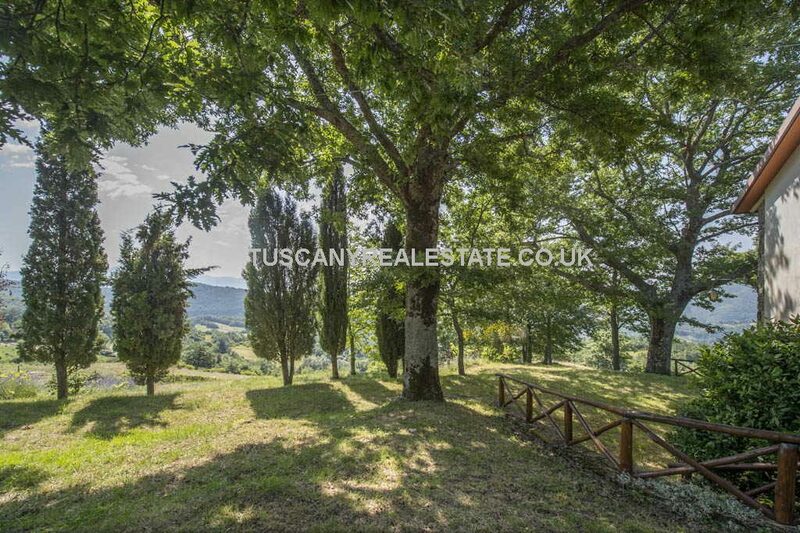 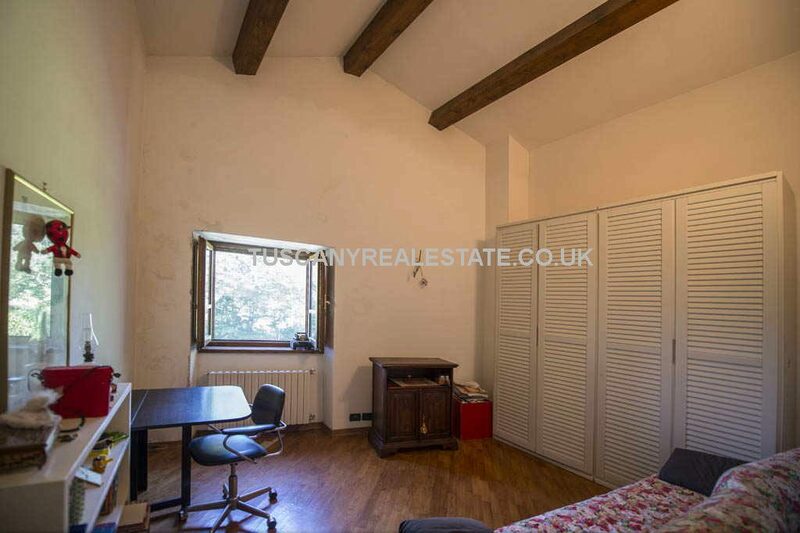 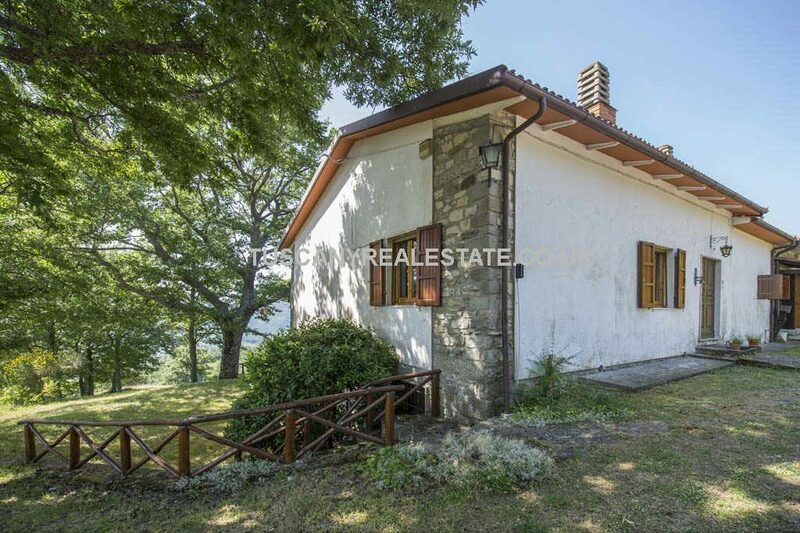 Very quiet ruaral location about 4 km from Chiusi della Verna and 7 km from Caprese Michelangelo which bother offer services and facilities such as restaurants, cafes, banks, shops, post office, pharmacy and doctors. 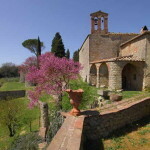 The airport at Perugia Sant’Egidio is about one and twenty minutes drive away and is well served by RyanAir. 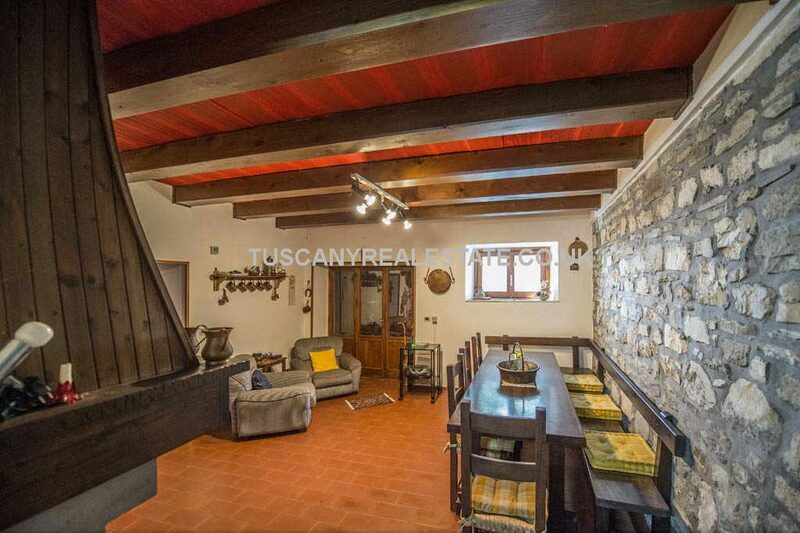 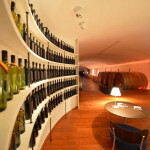 The first farmhouse was built in 2000 and it features exposed stone walls, terracotta floor, parquet floor, stone fireplace and ceilings with wooden beams. 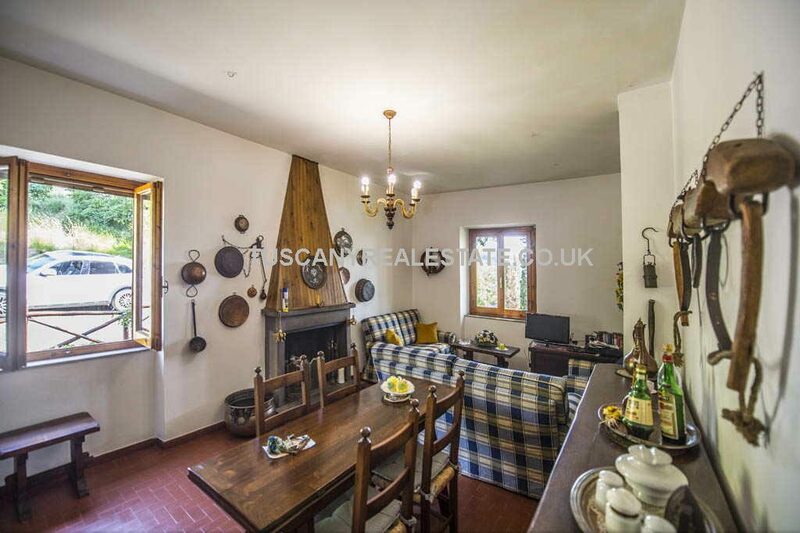 The second farmhouse dates back to the 1960s and was partially reworked in the 1980s but would benefit from a little updating internally. 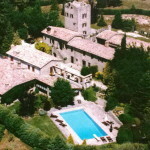 The roof is in good condition. 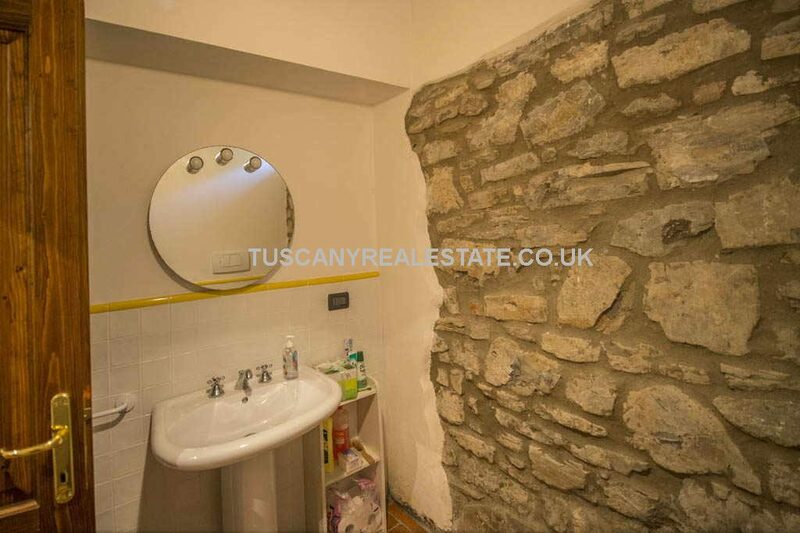 – First floor: kitchen, bathroom, living room and three bedrooms. 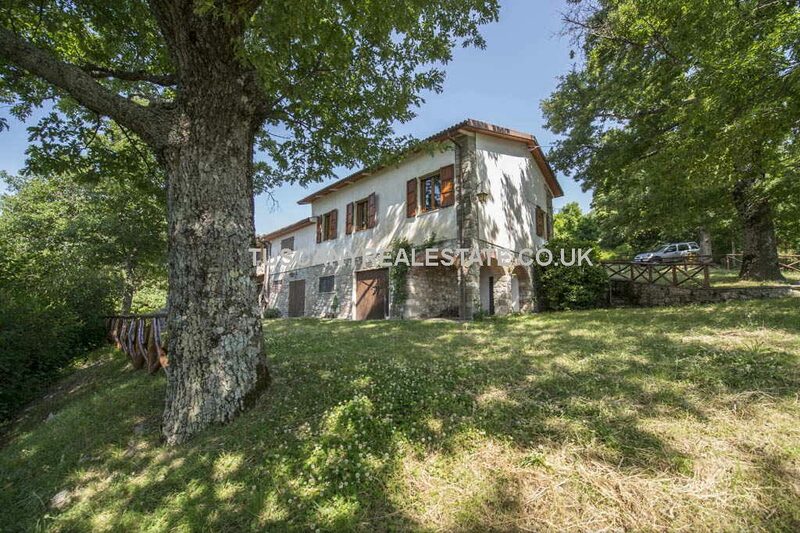 The property has three small outbuildings, currently used as garages and tool shed. 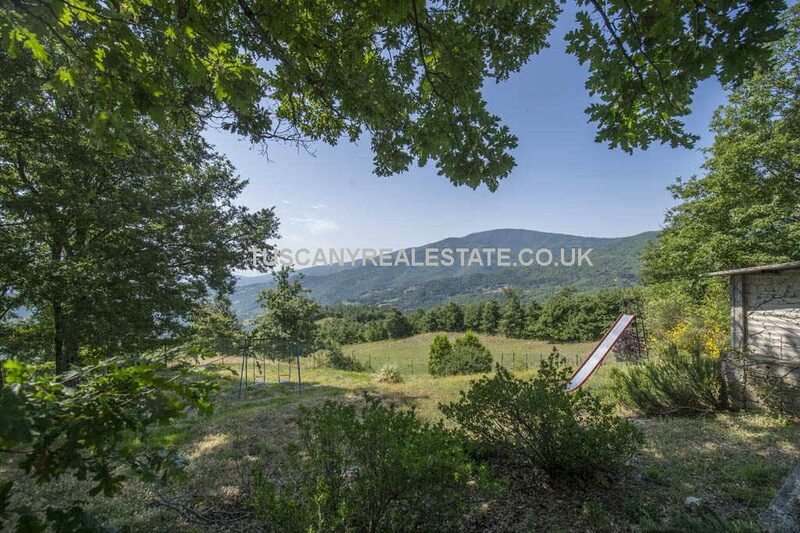 The property includes approximately 4,000 sqmt of land, of which about 1,000 sqm is used for gardens. 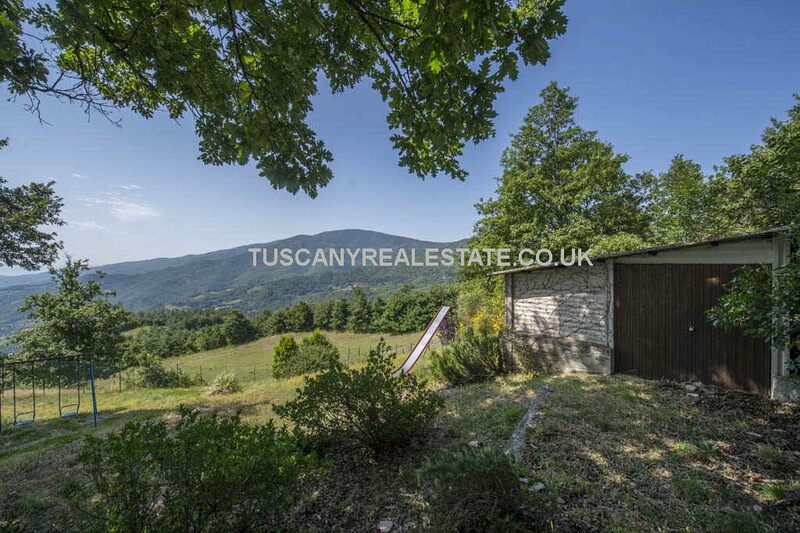 The property has no near neighbours, giving an excellent degree of privacy. 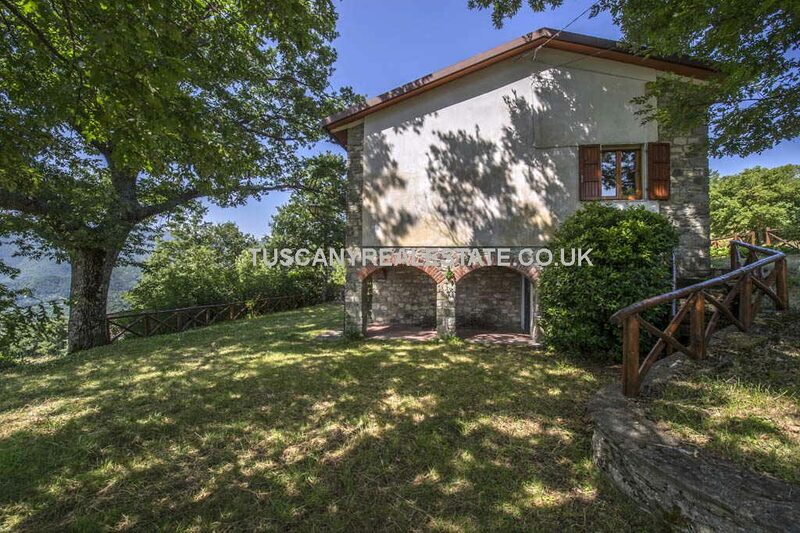 On one side of the building a beautiful loggia is ideal for al fresco dining or simply relaxing in the pleasant Tuscan climate. 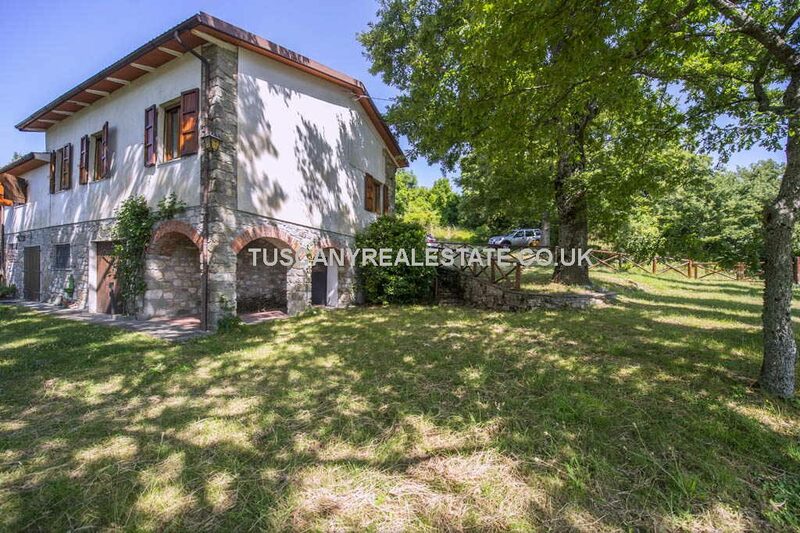 The other side the building has a three-arched loggia, very spacious and ideal for dinners or simply relaxation. 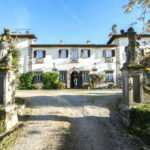 Currently used as a private home, but could easily be used as holiday/tourist accommodation or a small B&B especially servicing the users of the Via Francigena path, the former pilgrims route now popular with walkers and cyclists, which runs alongside the property.